The right pair of running shoes can make a huge difference in how well you are able to run, how far you go, and whether you are able to get up and move the next day. The wrong running shoes will keep you in agony while the right pair will help you to run faster, farther, and stronger. This is even more important when you suffer from flat feet as you will need a bit more support to make the running experience more enjoyable. Let’s take a look at some of the best running shoes for flat feet and overpronation so you. When you are ready to find the perfect shoes to deal with your flat feet and to help you feel comfortable all day long, check out some of these amazing running shoes. ASICS is a brand you can trust when it comes to the health of your feet. These running shoes are fantastic with a lot of features that you need to provide support and comfort to all areas of your feet. The upper fit is biomorphic to fit exactly with the shape of your own foot and the heel clutching system is going to make sure that your foot stays in place in a natural way. The forefoot and rear foot have cushioning systems in place so you won’t feel the pain by the end of the day and the midsole foam will provide your arch all the support that it needs to help correct your flat foot. All of this is provided at a very competitive price so you will be able to get in all the running you are looking for. If you were a fan of the Kayano 18 running shoes, you may have some issues with the 19 version. Some customers with the past versions were not that happy with the newer version. Also be careful if you are purchasing from a third party seller; there are some sellers giving out knock-offs that are not as great for your feet. 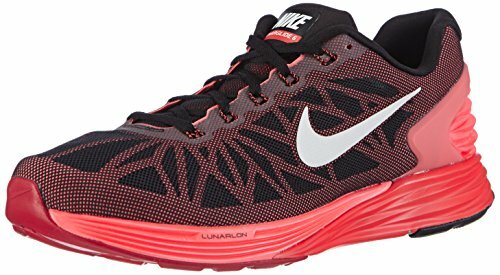 Whether you are looking for a pair of running shoes that can go the length of a marathon or you are more tempted to just find a nice pair of shoes to wear all day long, this option from Nike is a great option. The color and comfort can keep you moving and most customers are pretty happy with how these shoes fit. Nike is a brand that you can trust and you are going to love so many things about these running shoes. They are light so you won’t feel clunky wearing them around all day and the arch is in just the right place. Compared to other Nike shoes these are budget friendly without sacrificing on any of the comfort and features that you need while running. 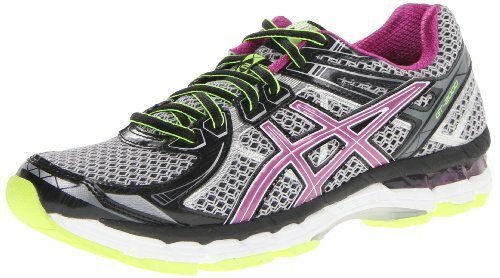 Add in the fun colors and you have a great running shoe that you can wear all day long. Not only does this running shoe have a great name to go along with it, there are a lot of great features that you will enjoy as well. First, the shoe is lightweight so you are able to run without feeling too heavy. The midsole foam is some of the best in the industry and you are going to feel the support no matter how bad your flat feet are. This Reebok shoe has JetFuse full foot air channels so you feel the air through all parts of your foot while running to keep it cool. There is also extra high abrasion rubber present in all of the high wear areas on the shoe so you won’t have to worry about the shoe falling apart on you no matter how much running you do each day. Customers have loved how well the arch support works and the overall comfort; many claim that they didn’t even have to wear their regular inserts to deal with the flat foot. When purchasing these shoes, make sure that you order a size bigger. 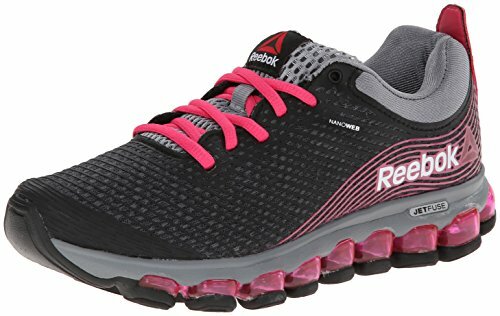 These shoes seem to run smaller than some of the other Reebok options and may rub your foot the wrong way if you don’t plan the shoe accordingly. If you’re ready to take the world by storm, these Hurricane running shoes from Saucony will help you to reach all your goals. These shoes are built for moderate overpronation but if you need something for more severe cases, it will fit in your personal insert with no problems. The rubber sole will provide you with all the traction that you are looking for to keep traction on a variety of surfaces and you will enjoy how lightweight and flexible this runner will be when you are out on the trails. The support frame is set up to lock in the heel natural and the powerGrid midsole makes it easier for you to keep the arch and the rest of the foot in a great position to heal your flat foot. With a variety of colors, styles, and prices, you will be able to find the right shoe for your needs. In some cases, some of the parts of this shoe are going to wear out pretty quickly. The inserts have some issues when you have really flat feet and may wear out before you are able to get them comfortable. It may be best for you to bring in your own inserts if you are worried about the insoles not lasting long enough for your feet or if you don’t like the heel locking feature. The material on these Mizuno shoes are perfect for those who like to run often. The combination of mesh and synthetic materials will ensure you are getting a comfortable feel on your feet as you are running as far as you can. 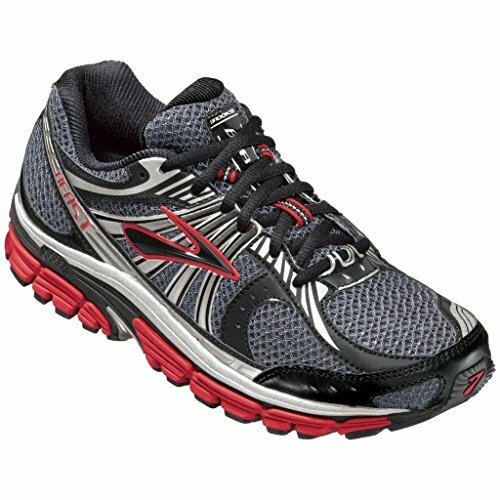 The midsole is set up to get rid of any impact you can feel during the run and the smooth ride engineering will provide a rocking like transition from the heel all the way to the toe that helps to keep your flat foot problem to a minimum and ensures that you are able to run for long distances. Some customers have complained that these shoes are a bit uncomfortable. Compared to other Alchemy products, these are a little stiff and harder to flex about and get the results that you would like. If you are able to walk around in the shoes for a bit in order to get them to stretch out, you will find they are a great shoe to wear for a flat shoe. But if you are worried about having to take this time, you may want to pick out a different shoe or try on a few brands to make sure they work the best for you. 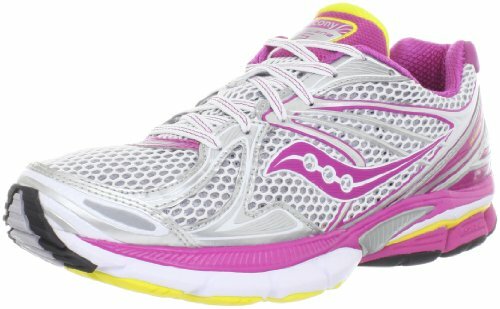 For those who are looking for a running shoe that has all the features that you are looking for as well as a budget friendly price. 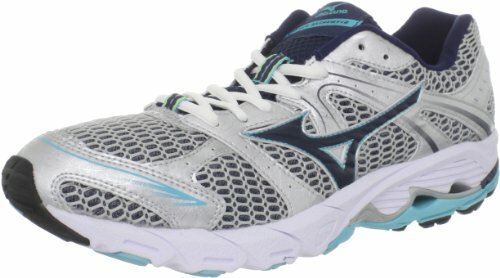 Even though you are getting these for a good price, you will love the FluidRide midsole that gives your arch all the support that it needs, the breathable mesh to keep the foot nice and comfortable, the support system for the whole foot to avoid issues with your flat feet, and the guidance line flex grooves. You will love how much you are able to run around all day long and keep your feet comfortable. When it comes to ordering these shoes, make sure that you get the wide option. These come really narrow, which can be really difficult if you are looking for something that provides the right comfort and support that you are looking for. If you can find the right width and the right size, these shoes can last you for a very long time. Finding a good men’s running shoe that will help your feet stay comfortable for a long time to come and deals with the flat foot issue helps to prevent it from getting worse. The diagonal rollbar Accel adds in some of the rigidity that your forefoot needs while enhancing how much midfoot support you can enjoy. At the same time, your forefoot and heel will be able to act independently while getting all the support that you need. The Brooks BioMogo is the first midsole that is biodegradable so it is eco-friendly while providing you with all of the support that you will need. The motion control in the shoe will provide all the excellent performance that you will need when suffering from heavy and severe overpronation. And finally, the DNA cushioning for the full foot will adapt to each of your foot strides so you get the most in stability, cushioning, and balance all in one. While you are getting a fantastic shoe for the price, some customers feel that this is a downgrade compared to some of the other Brooks Beasts that came out before it. If you were a fan of this brand before, you may want to stick with those or at least try on the new version before making the purchase. It is good to know that these shoes have changed, even though this one is still a great option. There is so much to love when it comes to these ASICS running shoes. You will like the supportive guidance trusstic system, the biomorphic fit upper, and the personal heel fit memory foam that is able to keep the heel in one place. All of this is going to work together in order to ensure that you are going to get all the support that your flat feet need to feel good while running or wearing the shoes around on a daily basis. You will notice with this running shoe that the forefoot is not going to have as much cushion inside it as some of the previous models. If you need this cushion to help out with your overpronation, you may want to go with a different style of ASICS or choose to wear some of your own insoles during the day. 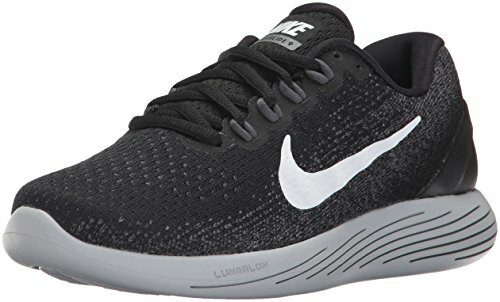 If you are looking for a good men’s running shoe that can last for a long time, will fit into your budget, is made by a name that you can trust, and has a lot of different style and color options, these running shoes from Nike are the right ones to go with. These running shoes have been designed for everyone, whether you like to run a lot, are in training, or just need a good pair of shoes to get you through the day. The mesh material and rubber soles provide a lot of comfort and you will like the good arch support that is inside. If these shoes aren’t quite what you need for your flat feet, it is easy to add in your own inserts and still get all the comfort that you need. When purchasing Nikes, make sure to go with a size bigger than normal. This will ensure that you are getting the exact right fit compared to going with the size that you normally get. Also, some customers feel that these are not as good at the model 4s. You may want to try out both and see which one works the best for your feet. These shoes have everything that you will need to help deal with your flat feet and some other feet issues. The material is manmade and even vegan so if you are worried about protecting the environment while you are picking out some running shoes, these are the best ones for you. The heel in these shoes measures 1/75 inches while the platform goes to .75 inches. The stride is going to be well guided and the lace ups help you to get the most out of the support possible. Add in your own inserts to get the most out of these shoes while running for many miles through all sorts of terrains. And for the budget friendly price, you will feel like you spent a lot more money than you did. Everything about this shoe is meant to help make your feet comfortable. 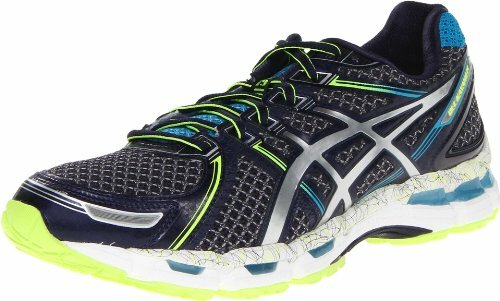 This shoe has more cushioning and support than you will be able to find in any of the other ASICS running shoes. They have also added in some more stability so you don’t feel as if you’re going to fall all over the place when you are running all over the place. 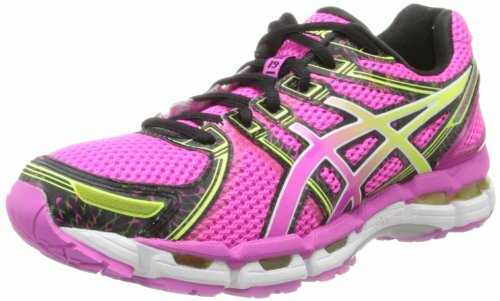 Whether you are choosing to go on a run for exercise each day or you are training, you will love the technology that ASICS added into these shoes to help you to feel comfortable while supporting your flat foot issues. One thing to be careful about with these shoes is the lack of shock absorption. Unlike some of the other running shoes you can find, these seem to have very little with shock absorption so you may notice it more in your feet and ankles. The cushioning can sometimes make up for this and you are going to really enjoy the price, but if you run often, you may want to pick a different kind of shoe that can take some of this impact for you. 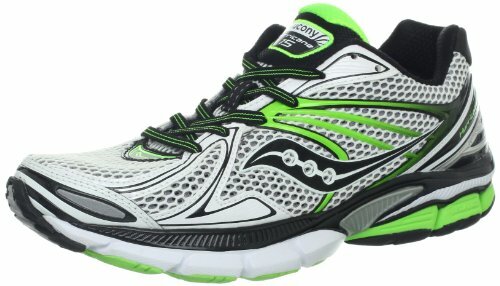 Saucony is a great option to go with when you want to keep your feet happy for all that running. The support frame heel locking technology, the PowerGrid midsole, and the heel to toe differential are all meant to help you get the maximum support for your moderate overpronation. These shoes are also lightweight and flexible so you can keep on moving without the bulk that comes from other running shoe options. You will enjoy the rubber sole that has plenty of traction and all the arch support that is inside the shoe. If you aren’t able to get quite the support that you need, or you deal with severe overpronation, you can easily slip in your own insert and wear these shoes all day long. If you are a heavy runner, you may want to choose another shoe. This one has some issues with the rubber sole wearing out too quickly and this can cost a lot of money for the heavy runner. Be careful with the width of these shoes as well as they seem to run small and choosing the wrong width could really mess with your foot and the support that it needs. Try some of these on ahead of time to make sure they are the right pair for you. 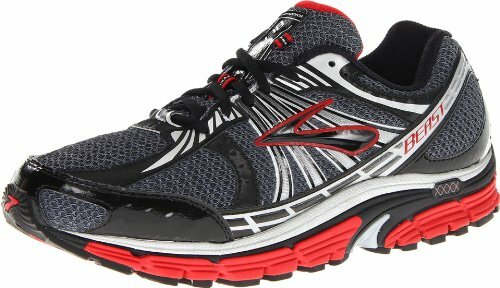 Brooks is a great company to go with no matter what kind of shoe you are looking for. But this particular brand is fantastic for making sure that your feet are comfortable and have the right support all throughout the day. The mesh material will ensure that your feet stay comfortable and cool while running and the arch support and heal lock will help to move your foot into a position for natural healing. With the cool colors and great price, this is definitely a running shoe that you should check out. If you are a fan of some of the past Ravenna shoes from Brooks, you should be careful with these. Some of the customers feel that these are not able to give as much support at the Ravenna 2s were able to do. If you are particular about the support that is in the shoe or fell in love with the Ravenna 2s, this may not be the right choice for you. 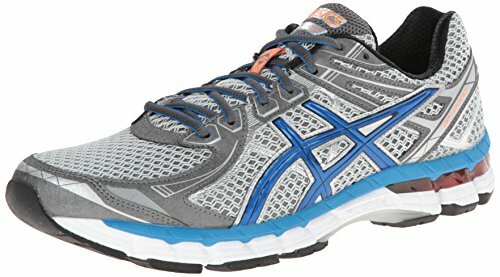 But for a comfortable shoe that can help you run long distances or to wear them all day long, this is a great option to choose. For those individuals who are dealing with feet that are between neutral and support. These are workhorse shoes that are meant to last for a very long time, whether you like to run a lot or you are more interested in just wearing them in your day to day life. There is plenty of cushion inside to help out with comfort and the shoes are really flexible to help with ease of movement. The saddle that is brand new in these shoes is meant to envelop the whole foot and you will get all the support that is needed right at the midfoot. The DNA cushioning provides the optimal support for you to really feel the comfort. If you are looking for a budget friendly shoe, you may come up a little bit short in this one. It is a bit more expensive than some of the other models on the market, but for all the great features you are getting and how long these are going to last, you are going to enjoy the deal. Choose from a variety of sizes and colors and you are sure to find the one that works the best for you. Mizuno is a name that you can trust when it comes to providing customers with great running shoes. And you won’t be disappointed with the options that you can get with this particular brand. 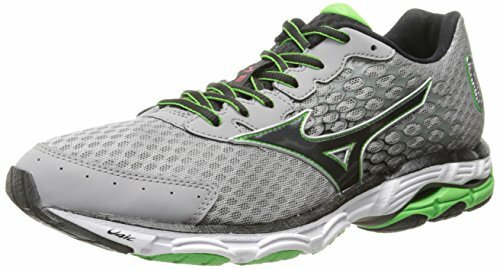 They have all the Mizuno wave technology needed to keep up with your stride and to prevent the hard impact that often comes when you are running. The Dynamotion Fit technology is meant to reduce the stress to your body while ensuring that these fit properly. The synthetic material is meant to keep the feet comfortable, provide a lot of support, and to ensure that your feet get all the breathability that is needed. If you are worried about the fit of these shoes, you should try them on before purchasing. These are not as wide as some other shoe brands and can change up the pressure points in your feet if you don’t make sure that the shoes fit properly. Some customers have ordered the largest sizes and found that the width is just not right, so double check to ensure you are able to run for miles and miles. Price—you should have a budget in mind when shopping for your running shoes. Running shoes can vary in prices from those that are really expensive and others that are more budget friendly. While the most expensive shoes are not always the best shoes, usually spending a bit more will ensure you get the shoe that you are looking for. Style—some people like to have a certain style with their running shoes and luckily there are many to choose from even with flat feet. Take some time to look around to find the style and color that works the best for you. Brand—you will quickly learn which brands are the best for your flat feet. Some companies are better than others in providing the support and comfort that your flat feet need. Look for a brand with good reviews and check any of the negative reviews to see if the shoe will actually work for you. Materials—the materials can make a big difference in the how much you like the shoe. Look for slip resistant soles to prevent falls and some mesh in the sides of the shoe to allow some air in to keep the feet cool. Quality—while shoes with lower quality are less expensive, they will fall apart in no time and you will probably spend more money over the long term. Plus lower quality products usually don’t provide the support that your foot needs. Look for higher quality shoes to help make running easier. Support—you are not going to feel comfortable in your running shoes if they don’t provide the right support. Finding a good arch support and heel hold is critical. If you’ve never picked out shoes for flat feet, you may want to go and try a few pairs on. This allows you to feel which arch support is just right for you or use your own insert to ensure the perfect fit. Finding the perfect running shoe for your flat feet can seem like a bit challenge. You will want to make sure that you are looking for the right brand, style, and price that will make your feet, and your wallet, feel comfortable. When you are ready to start looking for some great shoes, check out some of the best options in our list above.